This is a Dress, Romper, and Undies Pattern that uses a neat technique - No Set In Sleeves! Makes sewing so much easier! 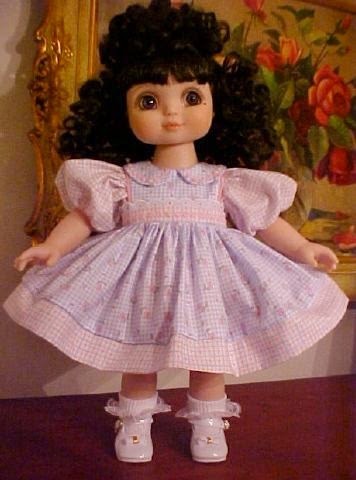 Adora Belle is a 15 inch doll by Marie Osmond. 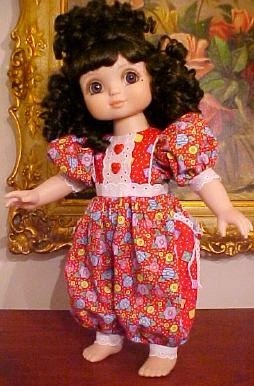 She is available everywhere quality dolls are sold. This pattern is in no way endorsed or sponsored or even seen by the Marie Osmond company. 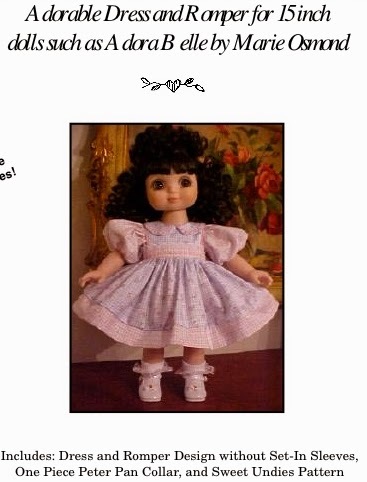 This is just a pattern that fits dolls similar in size to Adora Belle! The pattern consists of a sweet dress with hemband and waistband for easier sewing. The romper has cute inserted pockets to make using different fabrics an option. The no set in sleeves technique is just wonderful and before you know it your outfit is finished and you can start embellishing with buttons and bows and lace!